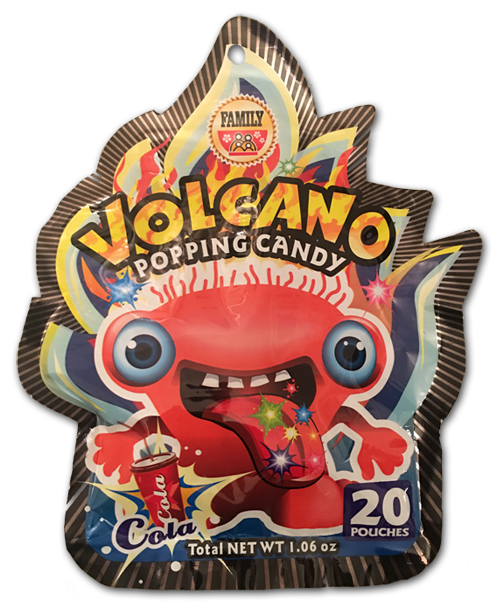 So when I received these Volcano Popping Candy from super fan Grace, I wasn’t expecting much. Which is why we all need to try everything at least once. You may think you know what something tastes like, or whether you will like it or not, but sometimes not. 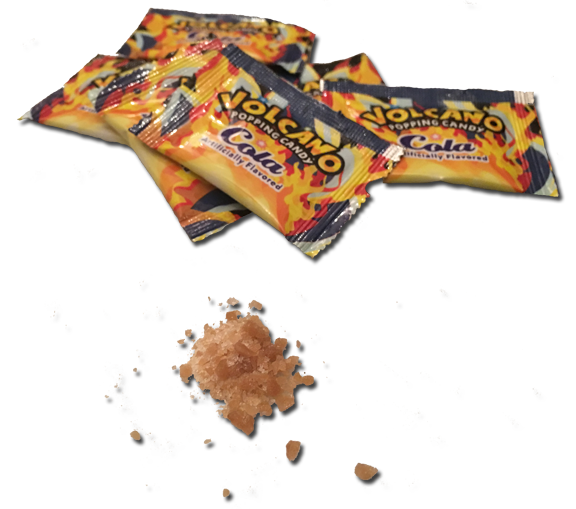 Such as these Volcano cola-flavored popping candy, which I loved. The package came with 20 single serving packets. It was called ‘Family Size’ but I think they should just call it ‘perfect for all you candy overeaters.’ I ate almost all of them at one go. Why, you ask? The cola flavor for one. It’s strong, and sweet and tangy and lemony and downright tasty. I want more candies to have this level of cola flavor. The popping is additive and not just novel. With a tangy lemony cola, the popping is like a fizzy coke and darnit if it isn’t refreshing! Sure, these aren’t dessert when you have your in-laws over, and they may not curb a hunger pang, but these things aren’t just an amusing little pleasure but actually good on the taste buds. The bags below also have apple and strawberry. I can’t vouch for those flavors, but I say: buy.